Zimbabwean first lady Grace Mugabe on Friday made her first public comments since facing assault allegations in South Africa, but she avoided any mention of the incident two weeks ago. President Robert Mugabe’s wife was granted diplomatic immunity by South Africa after she was accused of attacking a 20-year-old model at an upmarket Johannesburg hotel. Speaking at a rally in the Zimbabwean city of Gweru, she described her 93-year-old husband as a “prophet” for other African leaders and said he would retire when he “feels his body is no longer able to keep up”. 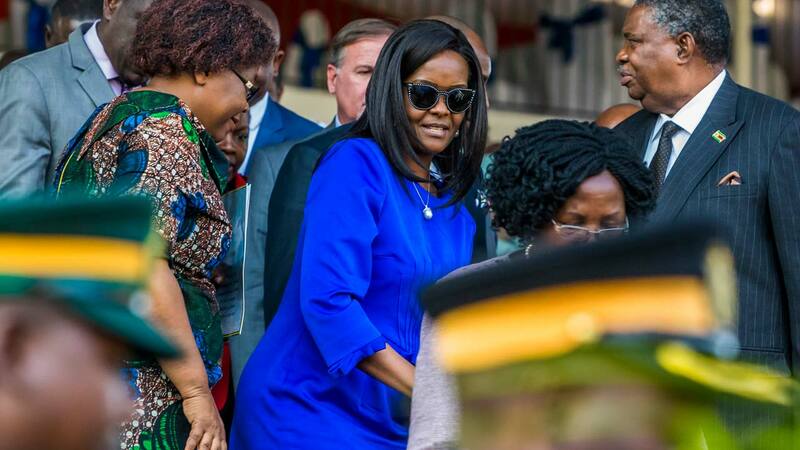 Grace Mugabe, 52, is alleged to have assaulted Gabriella Engels with an electrical extension cable at the hotel where the Mugabes’ two sons, who are in their 20s, were staying. Engels suffered cuts to her forehead and the back of her head during the alleged August 13 assault. President Mugabe, who also spoke at Friday’s rally, is due to stand for re-election next year. He has ruled Zimbabwe since 1980 in an era marked by repression of dissent, mass emigration and sharp economic decline since land reforms in 2000.